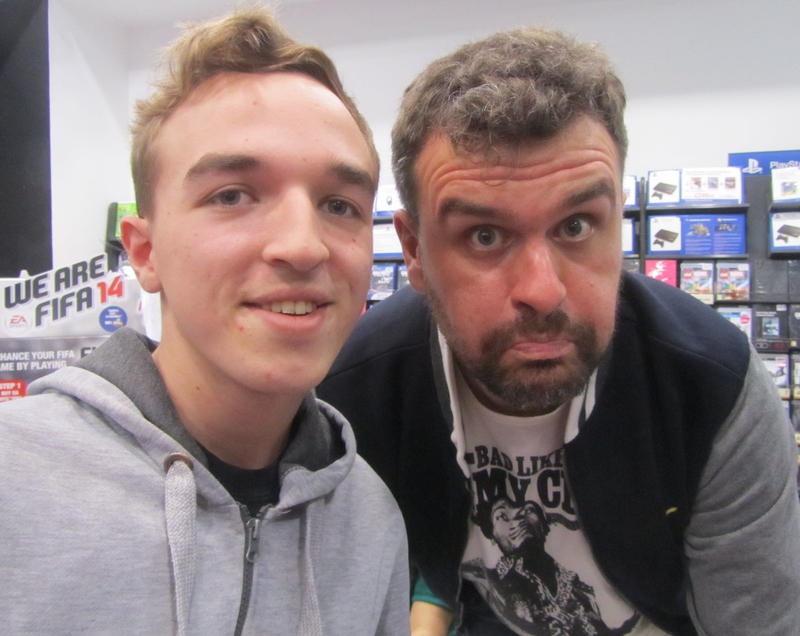 Reverend and The Makers came around at a time when Sheffield’s indie music scene was exploding with the imminent escalation to wordwide fame for fellow Sheffielders Arctic Monkeys. It is a little known fact that the brother of ‘Reverend’ front man Jon McClure, Chris, is the the man smoking on the cover of the Monkeys’ debut album ‘Whatever People Say, That’s What I’m Not’. And the links with Sheffield’s most famous band don’t end there. McClure, nicknamed ‘The Rev’ and Monkeys singer Alex Turner have co-written songs, including ‘The Machine’ and ‘Old Yellow Bricks’, while McClure’s former band ‘1984’ is referenced by Turner in the Monkeys song ‘I Bet You Look Good On The Dancefloor’. 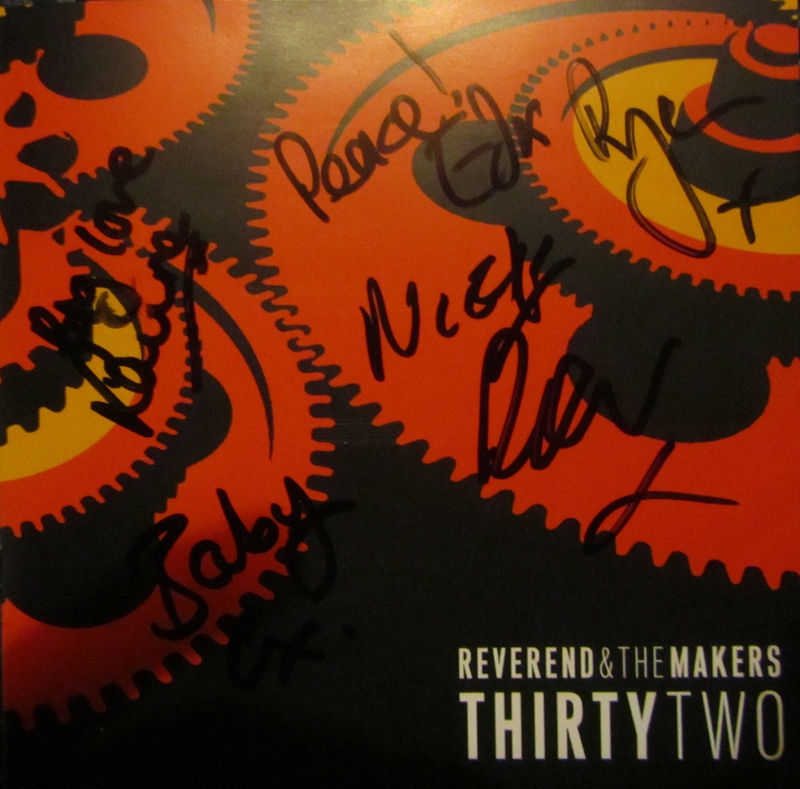 ‘The Rev’ formed Reverend and The Makers in 2005 and this year sees the group release their fourth studio album ‘ThirtyTwo’ – a name taken from the age of the band’s front man. After their first three all reached the top 20 in the UK charts, the Sheffield five-piece are pushing the new release even further in the hopes of making it their first ever number 1 album. The #GetTheRevToNumberOne campaign has travelled across twitter, while not only are the group embarking on a full UK tour, but they also played a number of ‘house gigs’ – performing intimate shows in the homes of lucky fans! 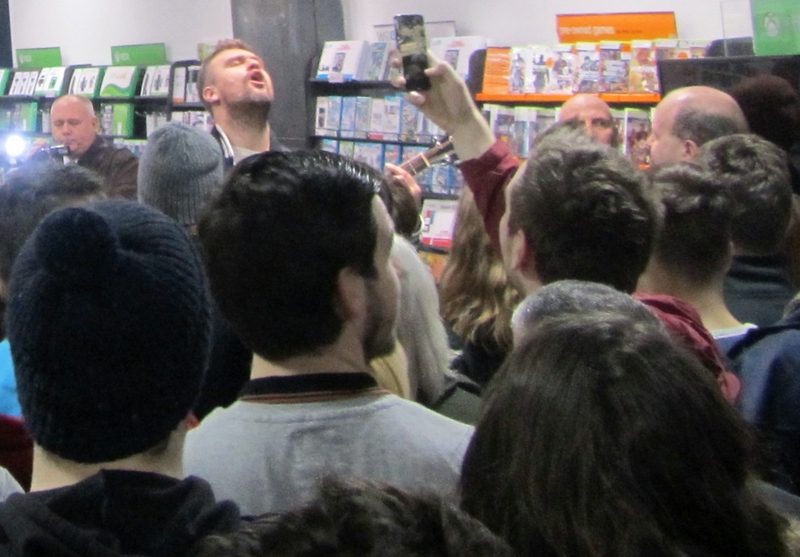 The first of a number of HMV signings for the new album took place in their home town of Sheffield, the night before the UK tour kicked off at Leeds Metropolitan University. 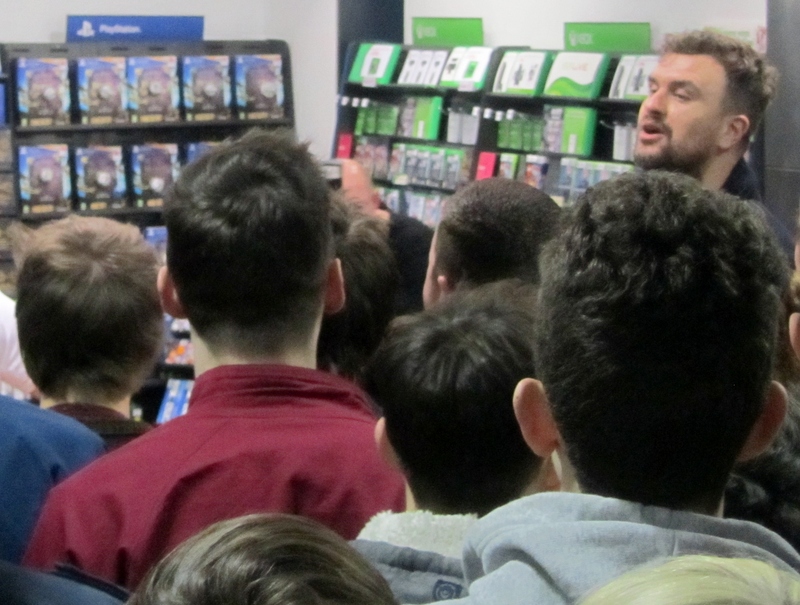 A crowd of over 200 people packed into the city centre shop and the band played a short acoustic set before the signing commenced. ‘Miss Brown’ kicked off the performance, followed by a mixture of classics such as ‘Heavyweight Champion of the World’ and brand new tracks like ‘Different Trains’. McClure bantered with the crowd throughout the set – telling jokes, talking football and encouraging their participation before inviting them to stay and meet the band for the signing. 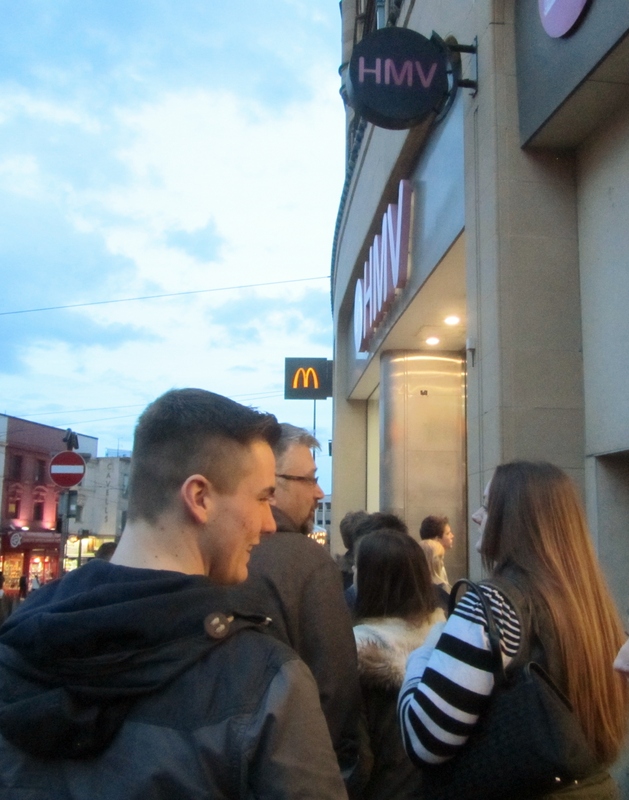 The queue went back quite a distance as excited fans awaited their turn to meet the band. The group has gone under a number of member changes in recent years and currently consists of Jon McClure, Ed Cosens, Laura McClure, Joe Carnall and Ryan Jenkinson. All five were very friendly, taking time to chat to fans, sign autographs and pose for photos. Not a single person was left disappointed and I have nothing but positive things to say about the bans after meeting them. Reverend and The Makers return to Sheffield on 7th March as part of the tour, headlining the O2 Academy – a highly anticipated show that is already sold out!